Tony Moly I'm Real Mask Sheet "Radiance" ~ $3.00 CAN. I don't mind these masks, they aren't my favorite but I haven't tried this type so I'm looking forward to it! Holika Holika After Mask Sheet - Night Over Time ~ $2.50 US. I love the branding and package of this mask - I'm sure I will use this after baby and test it out! A'PIEU - Green Tea Milk One Pack ~ $6.76 CAN. Again, I love this packaging and can't wait to try this! 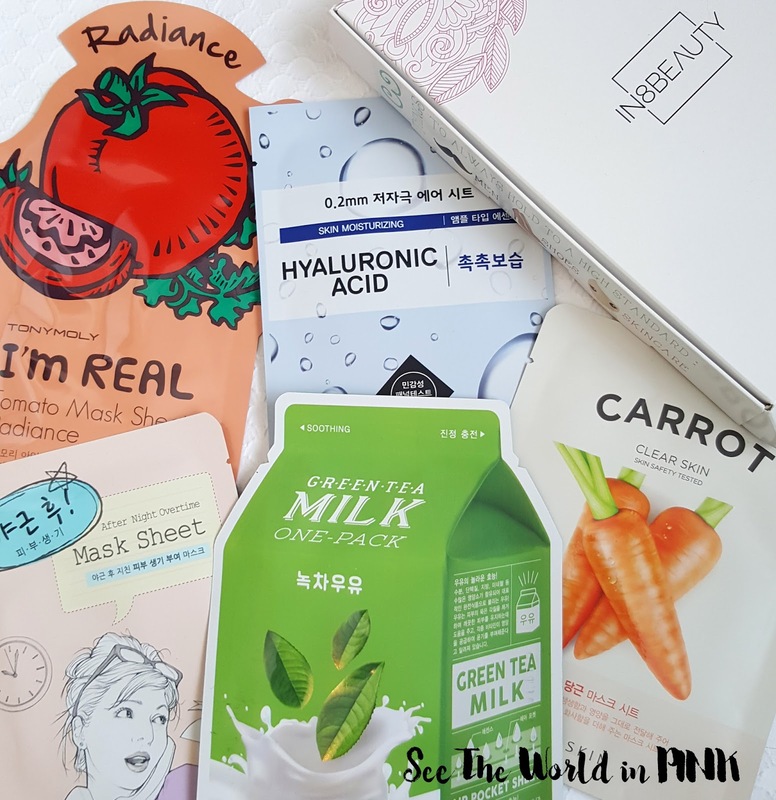 It's Skin The Fresh Sheet Mask "Carrot" ~ $3.00 CAN. We did receive another It's skin mask but I like them so I'm looking forward to this! Etude House 0.2mm Mask - Hyaluronic Acid ~ $2.00 US. This is fine, but I have received a different flavor of this mask each month! I'm quite excited to be off work and have been trying to keep myself busy, by finding things to do! 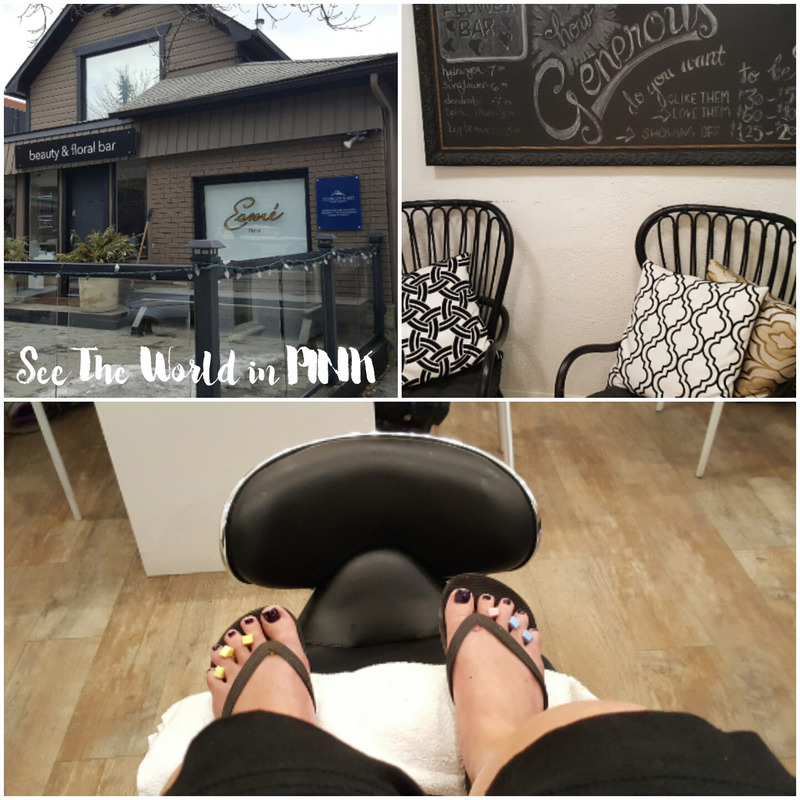 This week I had fun getting a Mani/Pedi at a great little place and wandered around a little bit on 17th Ave in Calgary! 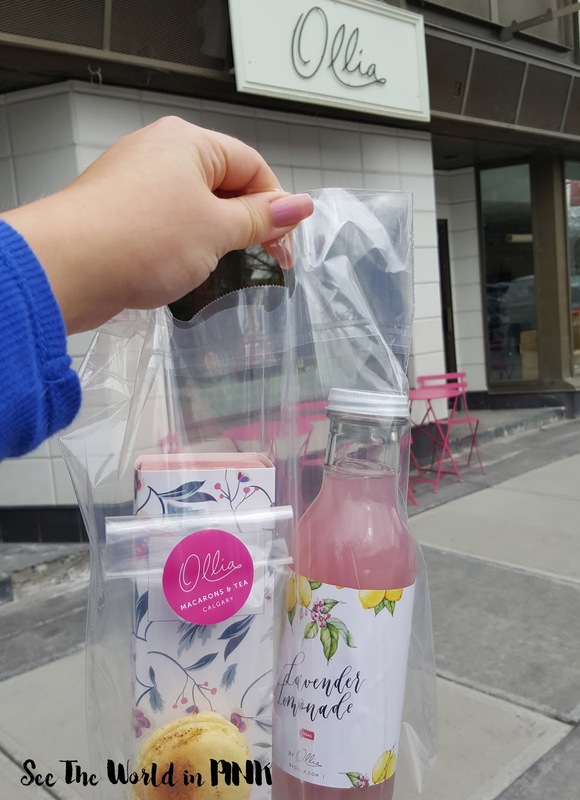 I also stopped by this adorable Macaron & Tea shop - Ollia! These were honestly the most delicious macarons I have ever eaten, so worth the trip to try them! For the rest of the week, I have been organizing my beauty room and doing a Spring clean purge! Will give you an update next week - until then you can follow me on instagram @reneeclementine and watch my stories for my time off adventures! 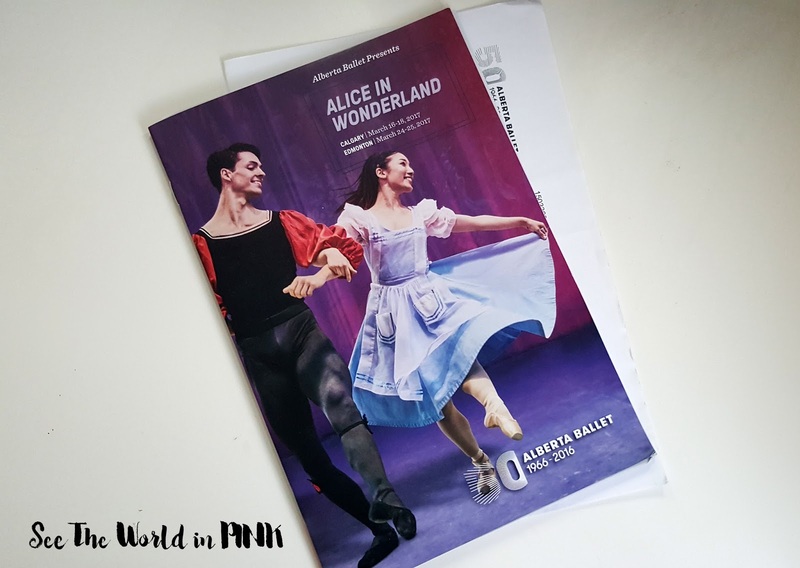 Last week my Mom and I went to see the Alberta Ballet's production of "Alice in Wonderland" - it was such a great show! The costumes, staging and lighting really added to the great dancing! Such a great night with my Mom! How cute is my kitty, Mephisto?! And how cute is this gorgeous bassinet! It has been i husband's family for 70-80 years and over 60 of their family members have slept in it as babies! But my kitties are so funny with all the new baby stuff coming in to our house - I hope they are good when the baby comes in 6 weeks or so! Did you guys see the Kat Von D/Makeup Revolution drama this week?! 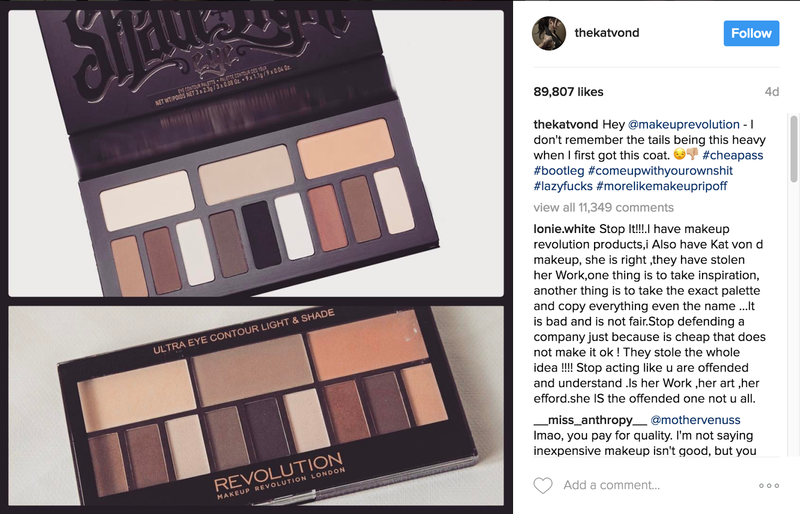 Essentially, Kat Von D is calling out the company for ripping off her Shade and Light Palette. She also posted a video on her youtube talking about Dupes vs. Ripoffs. The Makeup Revolution palette is around $15 US, where the Kat Von D is $62 CAN. While this is a pretty clear copy, I think there is always going to be this in all industries. I don't think this takes away from the Kat Von D - those loyal to the brand or into higher end makeup will stick to the Kat Von D and those who probably wouldn't have spent the money on the more expensive one, now have an affordable option. I don't think anyone thinks the palette will be as good quality. What do you think of dupe or copycat products in the beauty industry! Had such a wonderful night at the Ballet on Friday. I had a great night too momma! !